The band Fall Out Boy released their new single "Immortals" in full. The song will feature on the soundtrack of the upcoming Disney animation Big Hero 6. Based on a Marvel comic of the same name, the film tells the story of Hiro Hamada boy who joins a robot named Baymax to face the danger that plagues his city. The animation has the same producers Detonates Ralph (Frozen) . 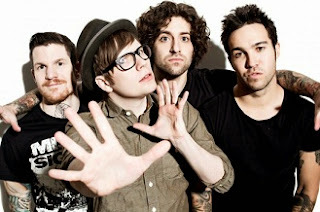 Meanwhile, the Fall Out Boy working on the follow-up to "Save Rock And Roll" and can also be heard in collaboration with Steve Aoki , "Back To Earth"